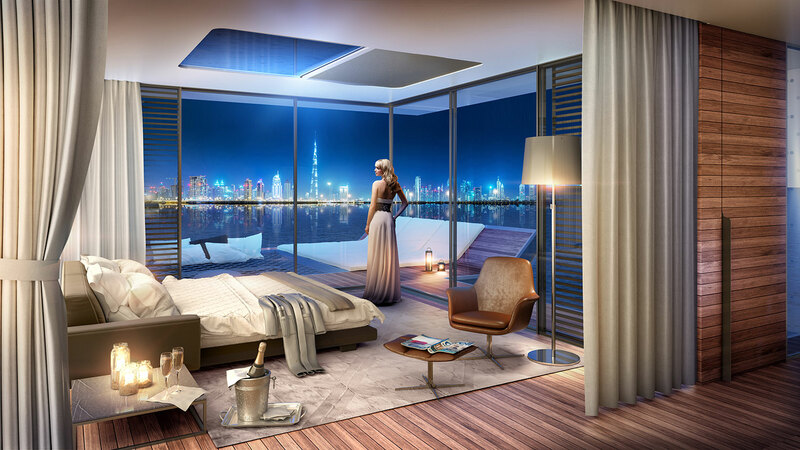 The United Arab Emirates are renowned for luxury, sunny weather and stunning construction projects. 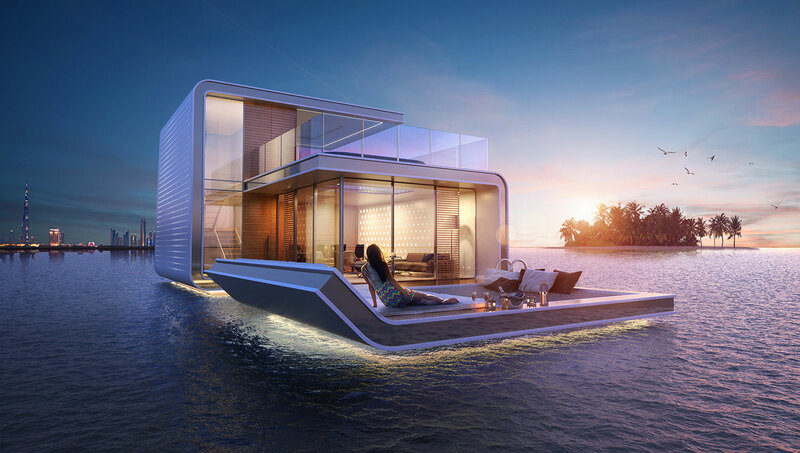 In addition to already completed projects like the “Palm Islands” and “The World”, “The Floating Seahorse” appears to be almost modest. 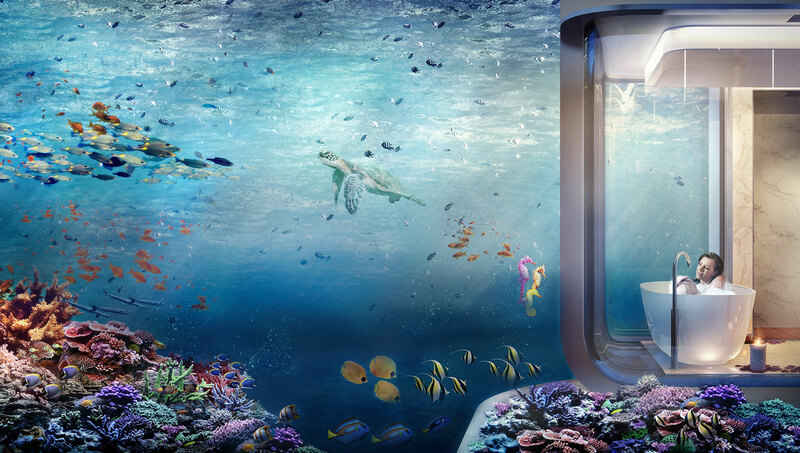 Anyway, this concept is still very impressive and unique. 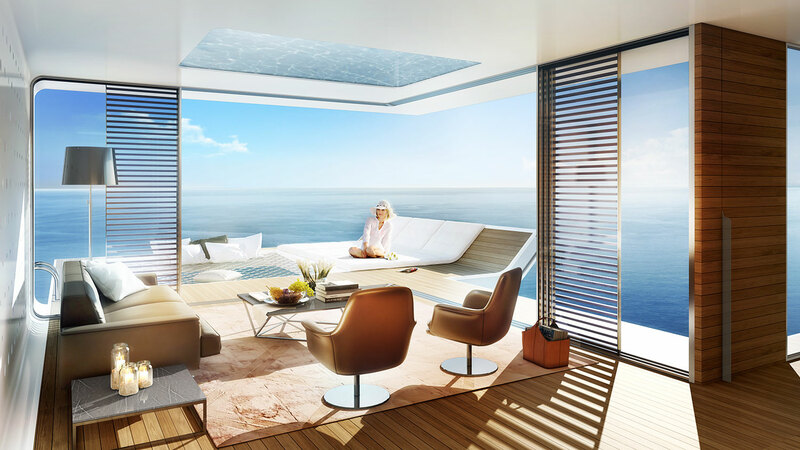 It is developed and implemented by the Austrian project developer and former policeman Josef Kleindienst. 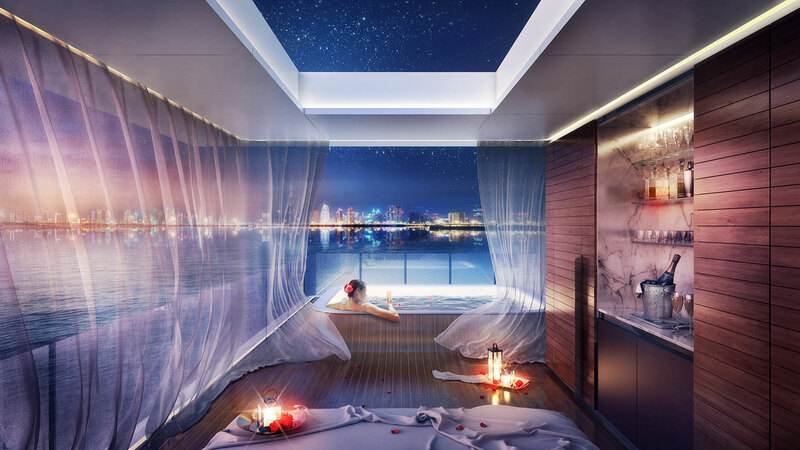 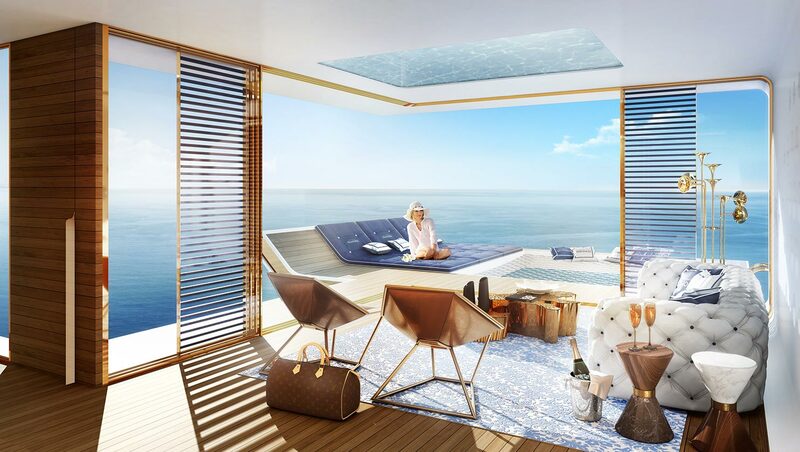 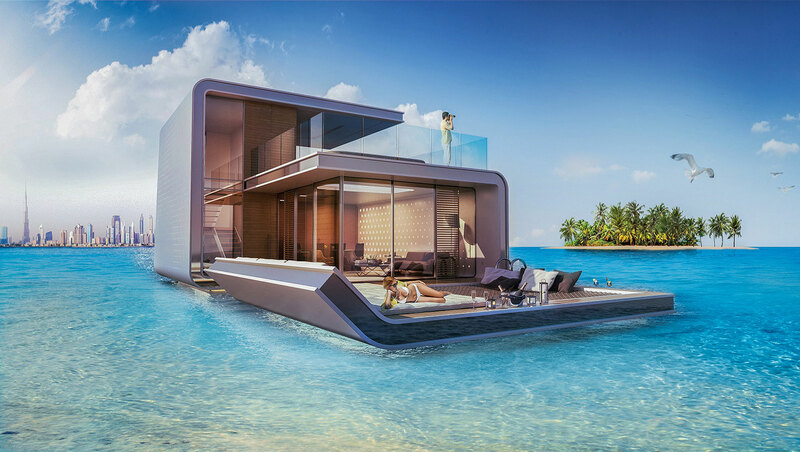 The luxurious houseboat has three floors and will be located only four kilometers off the coast of Dubai, within the “The Heart of Europe” archipelago. 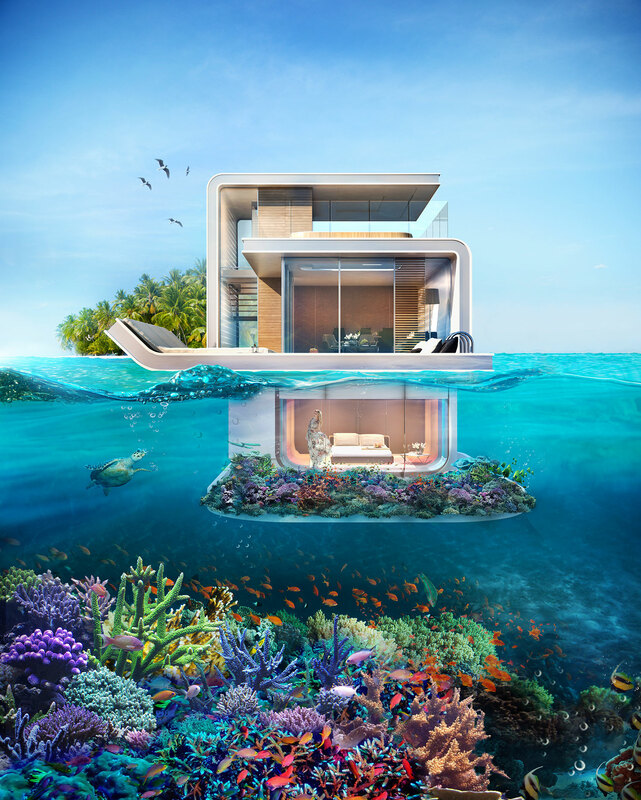 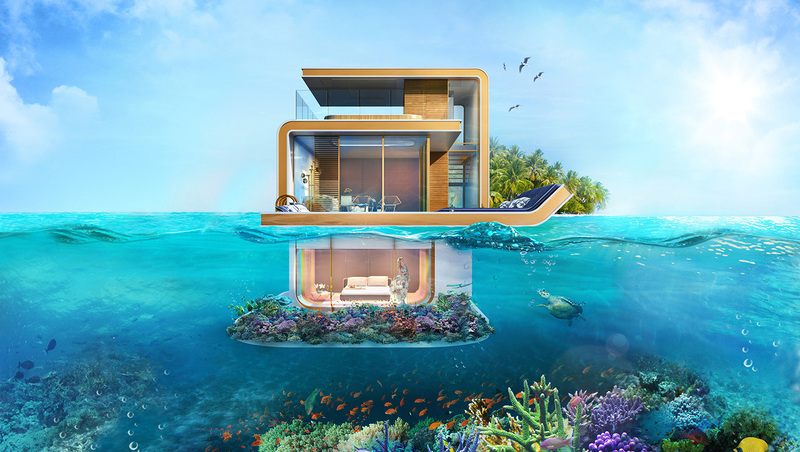 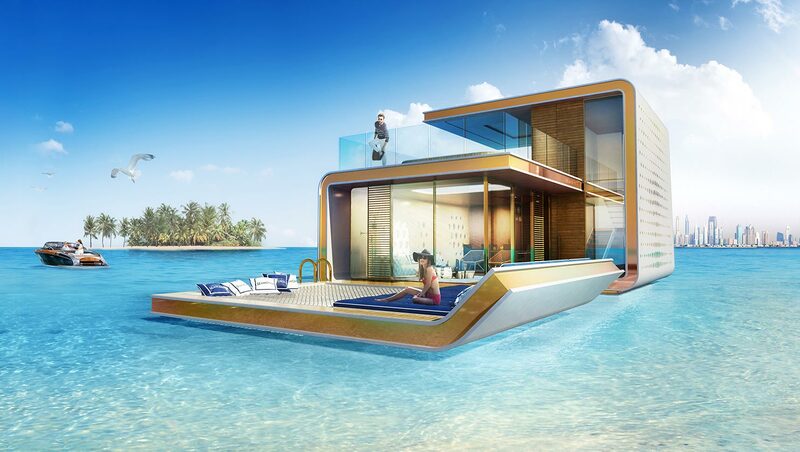 Although there are numerous floating homes around the world already, none of them is like this. 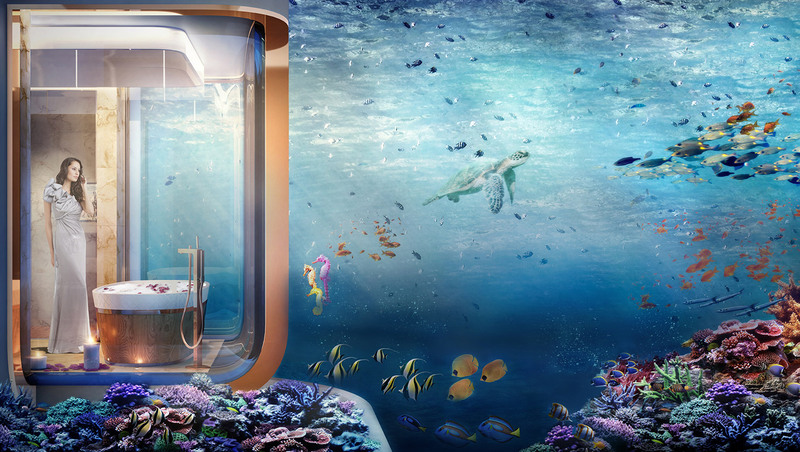 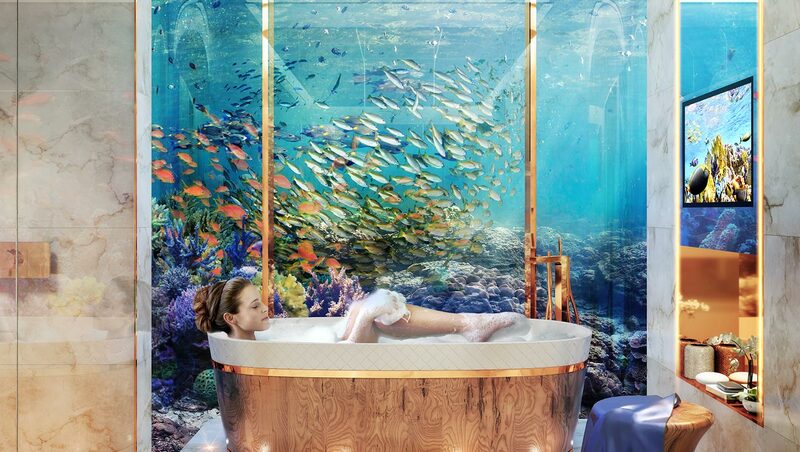 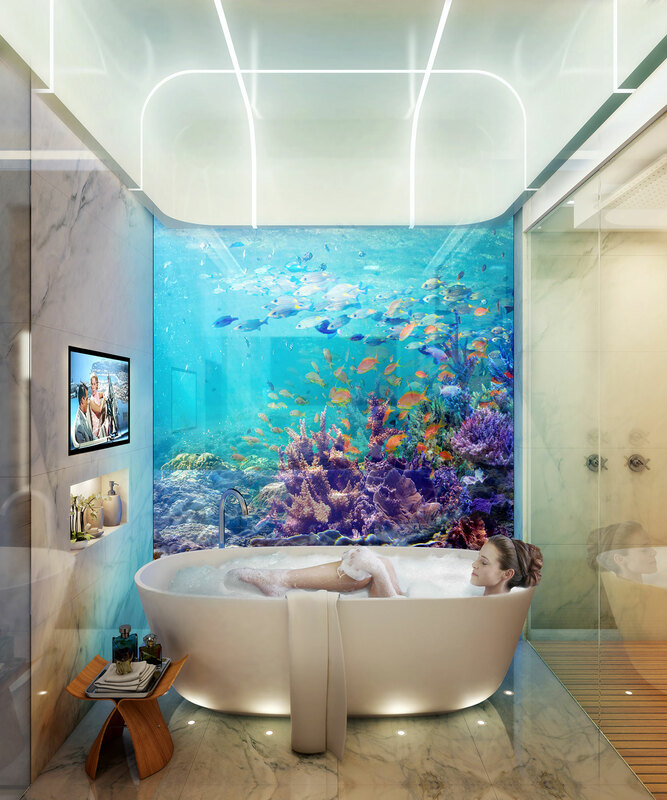 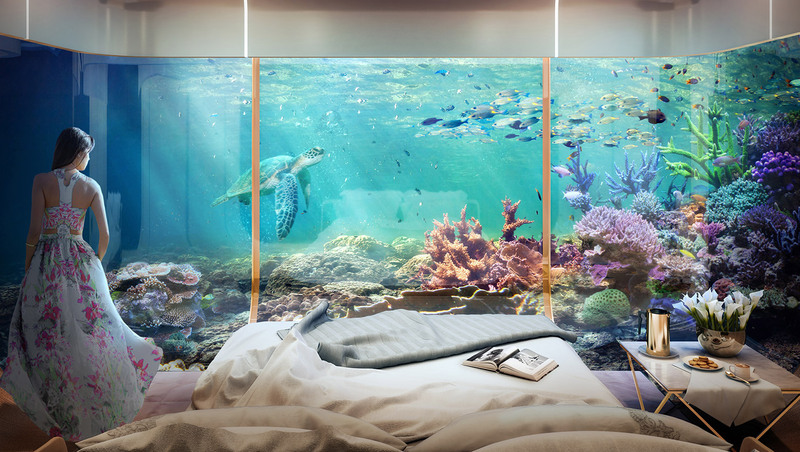 The bedroom in the basement features floor to ceiling windows with a 360 degree view of the fascinating underwater world. 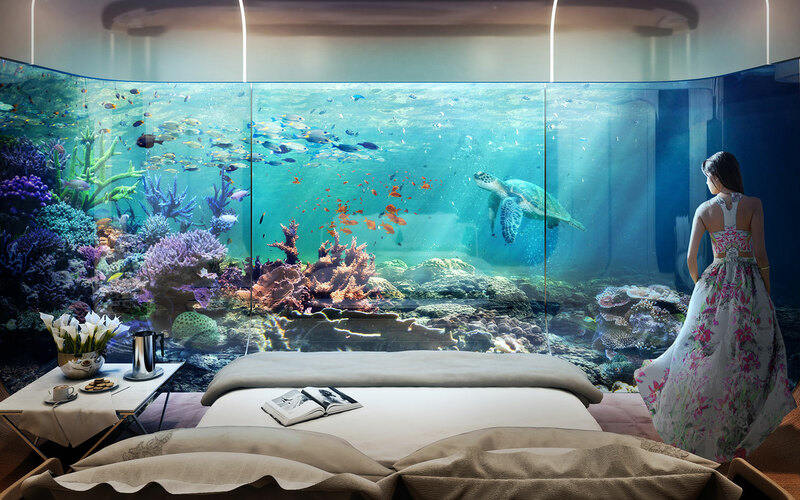 There’s probably no better way to say good night to the fishes.